This page serves as a Troubleshooting Guide for the NTK – NGK Powerdex AFX & Ballenger Motorsports AFR500 & AFR500v2 Wideband O2 Air Fuel Ratio Monitor Kit. Bad Sensor due to rich misfiring (tuning far too rich and/or raw fuel hitting the sensor possibly leading to a cracked ceramic or contaminated ceramic element). Bad Sensor due to having the sensor in the exhaust stream with no control and no heating which almost immediately foul a sensor. Bad Sensor due to bad manufacturing or damage in transit or improper installation (sensor is at the bottom of the pipe, etc). Sensor not reading within range due to being too hot or cold (ie right next to the port or way down the exhaust stream). Wiring in harness is loose, pull each wire individually on each connector to validate fully seated terminals. Wiring is improperly populated (crossed), send customer images and make sure to tell them to validate direction using keyways. Bad ground connection to the controller or bad power connection. The voltage should be a DC supply voltage between 11 and 28 volts. If the voltage drops below 11 it will reset itself (sometimes this happens during cranking). 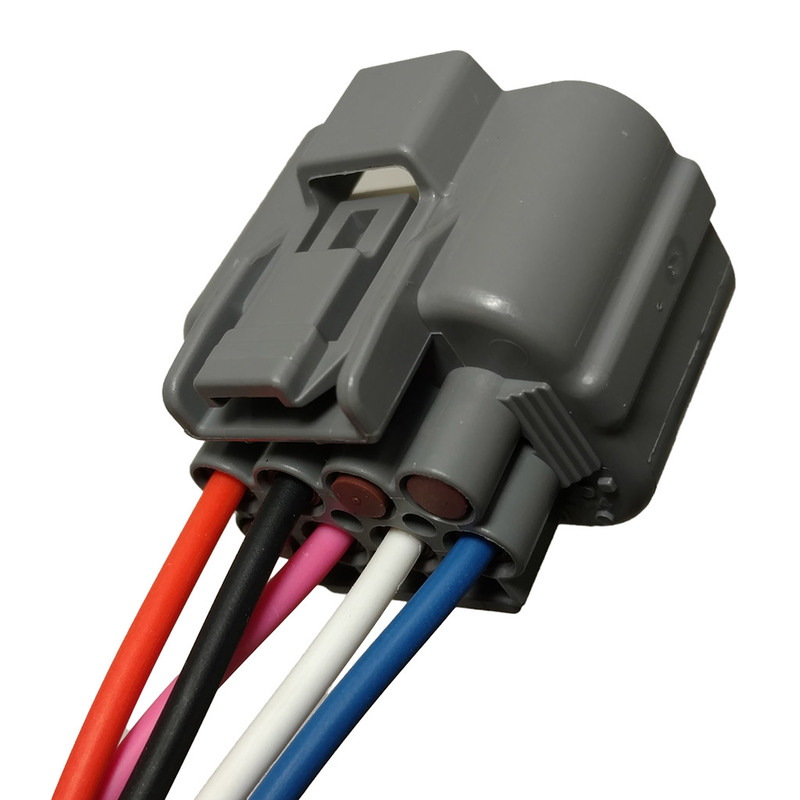 We have seen bad wiring contribute to sensor problems often. Try connecting your power and ground directly to a good battery and see if your issue remains. The number one most important thing to remember for all tuners but especially novice tuners is that misfire events read as FULL LEAN! 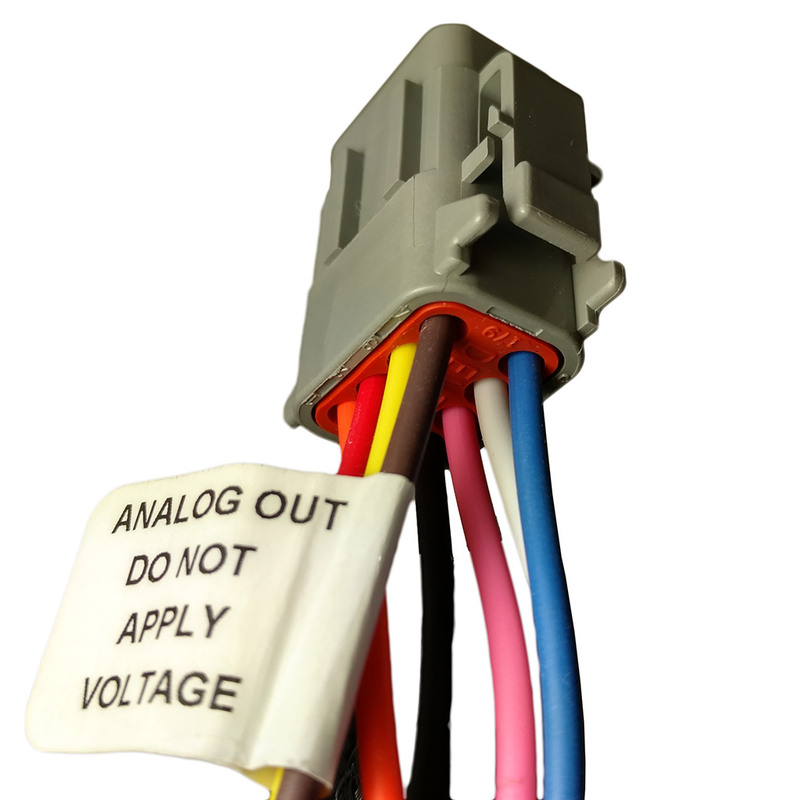 This occurs because this sensor is an OXYGEN sensor and when a misfire event occurs, the sensor will read pure oxygen and report a reading equivalent to free air. Being an oxygen sensor, it has no way to determine that fuel is in the exhaust as well so this determination is up to the tuner. Please pay attention to your other sensors such as smell, sight, sound and simple methods such as plug reading. A car that is misfiring will have an audible difference just as a car that is too rich will smell differently and a too rich exhaust may pour out black smoke. Running far too rich with frequent misfires and/or backfires can ruin a sensor quickly. The number two most important thing to remember is to install the sensor in the proper location and never have it installed in the pipe without the controller connected and powered up. Having a sensor installed pointing directly down to the ground or having it in the pipe with no control can lead to very rapid failure. Pay Careful Attention to the keyway patterns to ensure you are comparing the pinouts with the proper orientation. i currently have the afx powerdex. i have my power wire tapped into a switched 12v and the 2 ground wires to the chassis/frame. at idle and cruise the AFR fluctuates back and forth 14.7 as it should but as i increase the gas pedal and get into PE/WPT the readout then goes to 16.00 and stays there. the vehicle is a 01 camaro z28. the sensor’s in the passenger side B1S1 O2 bung. the pcm is tuned in open-loop/MAF tune. any help is greatly appreciated. How old is the unit and sensor? Which sensor is it? Have you ever had the sensor in the exhaust stream while it is disconnected from the controller? Are you reading these numbers at the display or with a logging system? Is your car misfiring? The most common reasons to have a situation like this are an exhaust leak or a fouled sensor. Hi. Can the afx be connected to another sensor? Ntk 8 B 8. 4 wire. Black grey 2 x white. 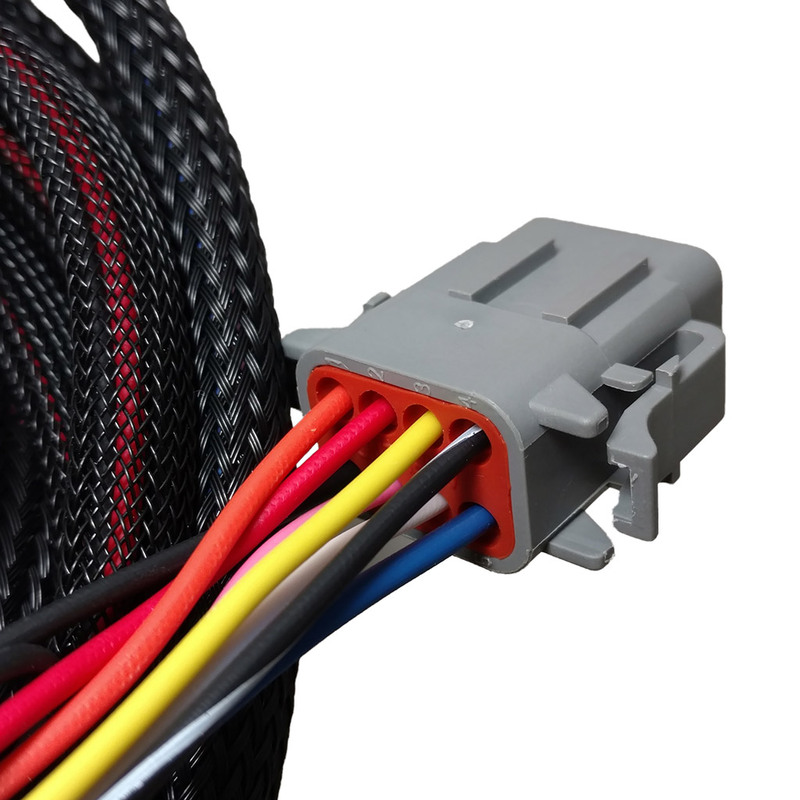 The AFX uses 5 wire wideband sensors. All 4 wire sensors, with a Toyota Specific exemption, are not wideband and cannot provide accurate air fuel ratio readings across the AFX measurement range. 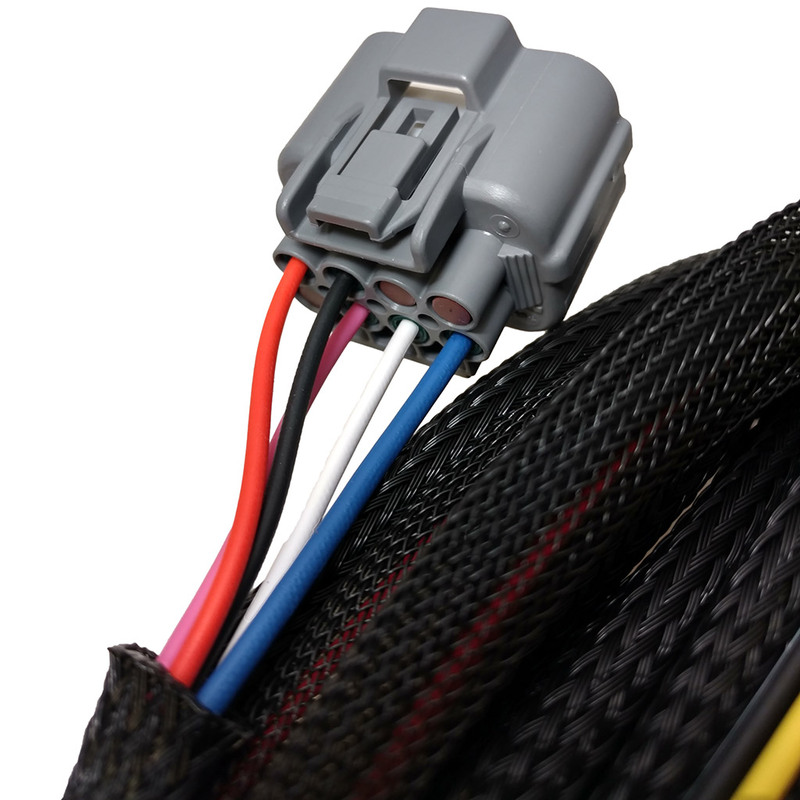 The AFX can some inexpensive options such as the Bosch LSU 4.2 Sensor: https://www.bmotorsports.com/shop/product_info.php/products_id/349 .